Posted in: Crime Stoppers, Media Release, Put A Name with This Face, Reward, WANTED. Tagged: Hutchinson. Franklin Police are looking for three suspects wanted in a Cool Springs credit card fraud. 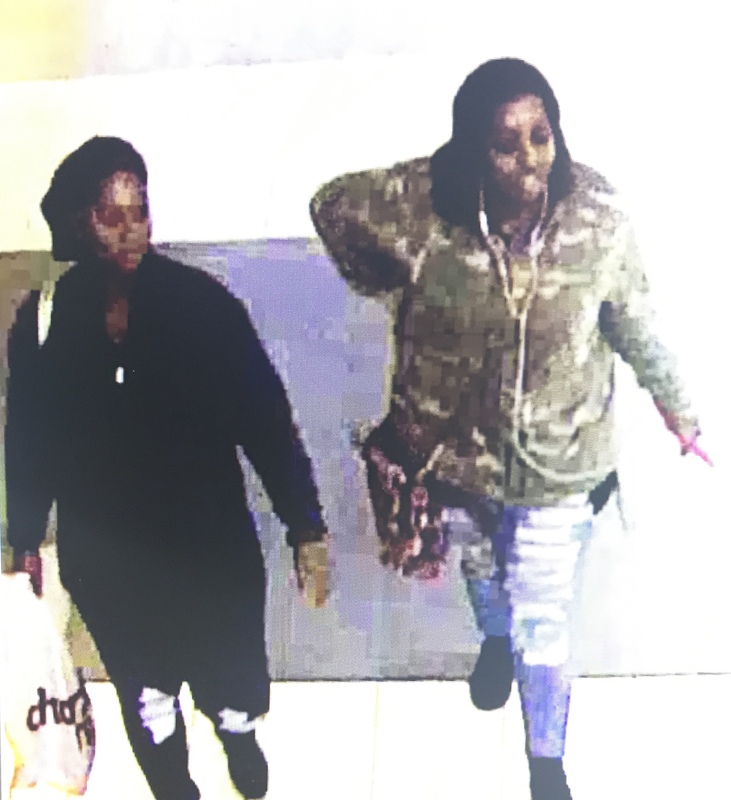 Recently-obtained video shows the suspects visiting the Galleria Boulevard Target in late December, where they used a stolen credit card to ‘purchase’ more than $1,500 in Visa gift cards. The suspects left in a red Cadillac. Do you recognize these suspects? They fled from officers who were attempting to stop them at the CoolSprings Galleria last Thursday. The pair got away in a red Nissan Altima. Franklin Police and Crime Stoppers are offering a cash reward of up to $1,000 if you know who they are.